The Liquid Freezer 360 is one of the most powerful and quietest AIO water coolers on today’s market. Equipped with up to six F12 PWM PST fans, an extra-long 390 mm radiator, and highly-efficient water pump, it delivers outstanding cooling performance with very low noise level, keeping you CPU running at its peak performance. 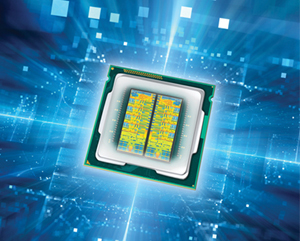 You'll be overjoyed not only because of the excellent CPU cooling performance but also its long-lasting durability. 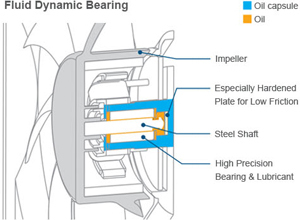 Latest motor technology and smooth tubes offer top performance at only 2-watt power consumption. The water pump that sits on the CPU is very light, and thus there is no risk during transportation. Six low noise 120 mm fans mounted on opposite sides of the radiator provide a great airflow. The first three fans push air through the radiator, the second three fans pull the air through it. 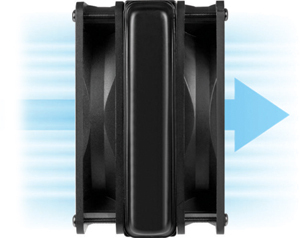 The fans are controllable with PST function which adjusts the fan speed based on CPU temperature. 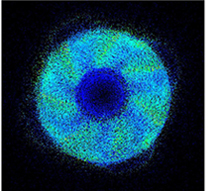 The engineers designed the F12 fan with CFD (Computational Fluid Dynamics) software and optimized it for high airflow. 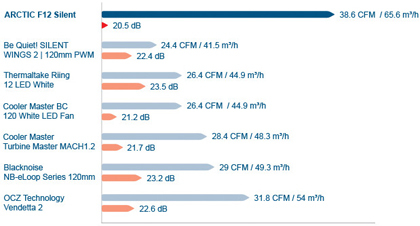 From all fans tested in the air tunnel and anechoic chamber, the F12 offers the highest airflow at a given noise level - by margin. All fan tested at 800 RPM, in anechoic chamber and wind tunnel. The Liquid Freezer 360 comes with a bag of the leading thermal compound, enough for two applications. 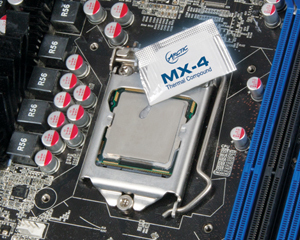 The MX-4 guarantees that heat will be dissipated from your CPU in the quickest and most efficient way. 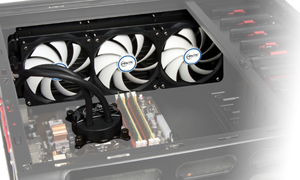 The Liquid Freezer 360 can deal with up to 300 Watts TDP - at almost complete silence. Pros: Looks good. Does the job well. Not real expensive. Other Thoughts: Have this installed in my nephews Phanteks Enthoo Pro TG case. Installation was a breeze. Keeps the 8700k cool. It idles at about 32c. I personally think that this aio is just as good as the Corsair or NZXT offerings. I also have this cooler. I'm waiting for some other parts to come in so I can complete my build. Would buy again. Pros: 3 fans on each side of radiator- a lot of cooling power. Cons: Need 2.5" space under case top, on some cases this will interfere with motherboard. to release the RAM slot tab underneath the cooler. In my case I got a good overclock stable enough for workstation, so cooling was worth it. Pros: - Keeps Threadripper at low temperatures. Cons: The installation was very frustrating to set up on the top of my case. Pros: 6 year warranty. Plenty of cooling capacity. Keeps my 6850K idling at 18-21C in a 16-18C room. Idle temps rise a little depending on the ambeint temp. Gaming temps are almost constantly 27-40C with rare short spikes up to about 55C. Max load temps I've reached was 60C on the hottest core & package while the other cores remained below 54C. I changed the fans out for six Noctua NF-F12 because they're way better. Other Thoughts: - I'm willing to put up with the complicated product for purportedly better cooling performance, but it definitely isn't as easy to install as conventional cooling products, despite the marketing copy. 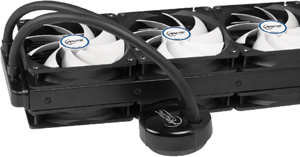 Pros: - 360mm radiator AIO with six fans for the price is quite excellent. 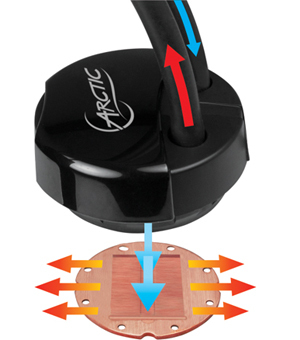 Cons: - The Arctic F12 fans are great but don't appear to be optimized for radiators. 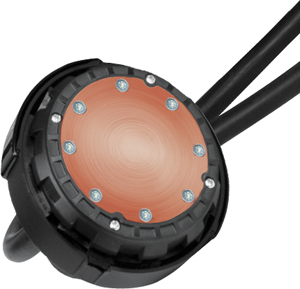 - Installation is a little difficult without a fan hub, but the included fans can be daisy-chained. Makes for a rat's nest of cables to manage, though. - Doesn't fit in many Mid-Tower cases. 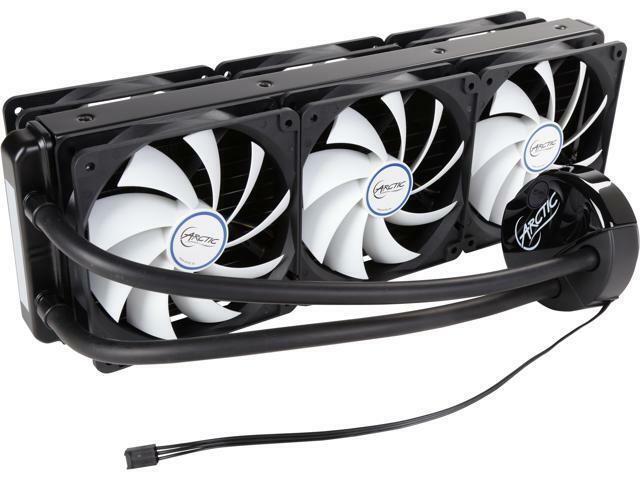 - Hoses are unadorned rubber which are perfectly functional but lack the premium feel of other AIO liquid coolers. Other Thoughts: It's an Asetek cooler with a 360mm rad and six fans for $120 which is quite the deal if you want the one-sentence review. They appear to have shaved the cost by excluding some of the superficial features that distinguish other Asetek rebrands (no cable sleeving or LEDs) and also by including cheaper fans (On NewEgg for $31.70USD for a 5-pack) as compared to Radiator-optimized fans. That being said it is totally adequate and surprisingly quiet right out of the box and the complete unit is amazing value-for-money if you can live with its somewhat basic aesthetic. - Remember to use the included washers to mount the unit to your case. July 13th - Got my 7700k Delid kit and modded my CPU with some Thermal Grizzly Conductonaut and Kryonaut, now my AIO is keeping this historically hot chip down to 70C peak temp (60-63C average) under torture tests doing 5.0 @ 1.37v. That is to say - this cooler is rather amazing.